Well, 2012 is nearly one month old and that means it is time to find a new read for the month of February. 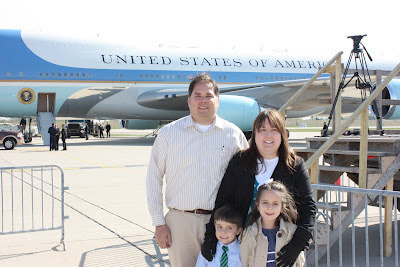 My last Read of the Month was a suggestion from a fan of the blog, and I enjoyed the book. Well, I have another suggestion from a fan of the blog and I am going to pick it up for February. 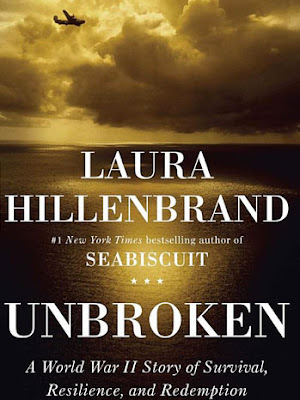 My former co-worker, Mark "The Captain" Nyholm has suggested Unbroken by Laura Hillenbrand. Unbroken tells the true story of World War II soldier Louie Zamperini who was shot down over the Pacific Ocean in 1943 while flying on a rescue mission. The book covers what takes place over the next three years. Just from reading the summary I am pretty excited about this book. Thanks for the tip "Captain." I think I am going to go back to eBook form this month, so I will be picking this book up via Apple's book store so I can read it on my iPad. I notice that Laura Hillenbrand also wrote Seabiscuit. I never read the book, nor have I seen the movie. Anyone out there read any of Hillenbrand's works? I look forward to providing my review later in February. Happy reading!